Welcome, and enjoy the Eco! I have 72k on mine, and look forward to getting many more miles out of it! Welcome to CruzeTalk. You should be able to easily see over 40 MPG with your car. First things first, however, regap your spark plugs. I can guarantee they didn't come from the factory properly gapped. There's a DIY in our How-To section on it. Next, try 89 or even 91/93 octane gas. These two changes will make a noticable difference in the way your car performs. Welcome to Cruze Talk Matt! Congrats on picking up your new Cruze. Feel free to send me a private message anytime you have any questions about your Cruze features, remaining warranty, dealership locations or anything else that you are looking for answers to. We are glad to have you join us! 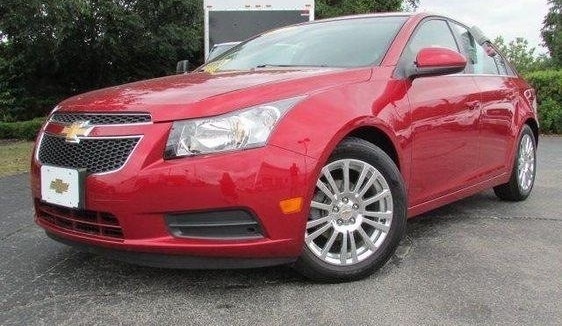 Welcome to the cruze talk Be cool stay cozy keep cruzen and Best Wishes to you with that desire to reach 200.000 Miles ! Welcome and congrats on you ECO 6M! Great choice in Cruze model. You should get some outstanding fuel mileage. There are lots of mods to increase the performance and up your mileage. This site has tons of info. Congrats and Welcome to the forums! Thank you everyone.... I was browsing this forum a few weeks ago and ran across the spark plug gap post. Seems pretty interesting... I will definitely have to give it a shot and see if I can notice a difference in my low to mid end power band.... I also looked at the vermont tuner and would like to do that down the road (tax check timeframe ). The car has been really great to drive so far (even though it is more of a bare bones version of the cruze, this is my first car with bluetooth and OEM iPod integration so I still feel somewhat spoiled when driving it ).... holding the gears and letting the turbo pull really makes this car seem quite zippy (can't wait to see how it feels after a tune ). I hope to learn a lot from this forum .... again thank you all for the welcome wishes. Congrats on your new to you car. I addition to the plugs and gas, find a tire pressure that you can stand above the psi posted in the doorway. I run 45 psi cold* and others may have it just below 50 psi cold*. What is the Top Speed of the ECO Manual ?